Retail $53.95 SAVE 23% ! 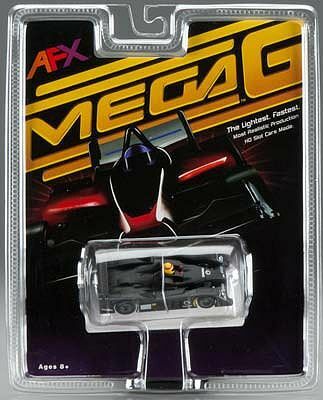 The new Mega-G chassis makes it possible to create stunning bodie that take realism to levels never before seen in 1/64th scale. Superb graphics that use up to 6 colors. Up to 30% lighter than any other HO chassis. Lowest and narrowest chassis ever made. Exclusive extra long tapered guide pin. Polymer Motor Magnets (up to 20% more powerful than larger cerami magnets). Level 30 Neodymium ground effects magnets. Nylatron Chassis (super strong and tough).